Over the past 70 years, the Board of Directors has established partnerships with groups wishing to rent Camp Bickell/J P Bickell Outdoor Centre to conduct programs. Some of these groups are the Timmins Symphony Orchestra, District School Board Ontario Northeast Eco-Camps, Ontario Teen Leadership North, family reunions, weddings and high school leader conferences. Since 1996, Camp Bickell/J P Bickell Outdoor Centre has provided a facility to the Timmins Symphony Orchestra for their summer music camp program A different atmosphere permeates the grounds at that time with the sounds of music competing with the sounds of nature. A concert on the final day attracts a full audience. Teachers from the TSO Music School put the youngsters through their paces from strings to horns. 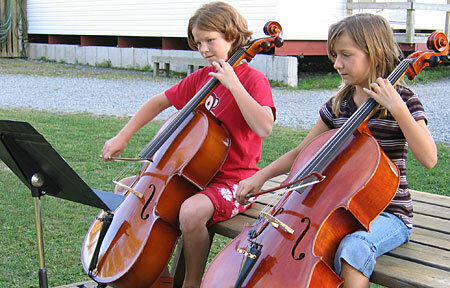 Although the camp is mainly about music, other camp activities are enjoyed by the students. 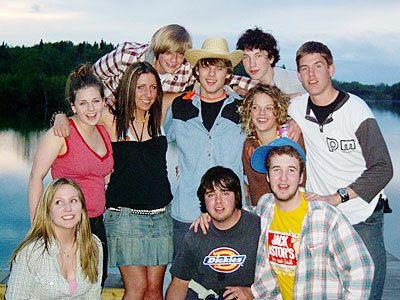 In 1999, Camp Bickell/J P Bickell Outdoor Centre partnered with the local Police organizations to conduct a leadership camp for teens from Northeastern Ontario. Guest speakers deal with current issues affecting teens in their everyday life, both a home and in school. Workshops, led by counselors, encourage open discussions on the issues. In addition, the teens play a role in raising funding for the camp and deciding what topics and format will be covered. This camp has operated continuously since the initial one in 1999. 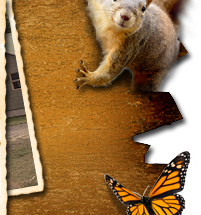 During the months of May and June, Camp Bickell/J P Bickell Outdoor Centre is a beehive of activity between Monday and Friday. Grade 5 and 6 students, from DSB ONE stretching from Hearst in the North to Temagami in the south, attend 2 ½ day eco-camp programs. The youngsters are kept busy by participating in sessions focusing on pond studies, compass courses, GPS usage, survival skills and respect for the environment. 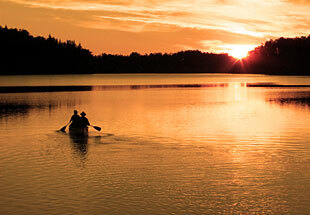 In addition, regular camp activities such as a talent night and freighter canoe trips are part of the stay.